Ga'al, a Manchester United fan, hopes to see her first Premier League match during her stay in England. The former African studies and political science student intends to pursue a master of science in African studies at Oxford followed by a doctor of philosophy in political science. 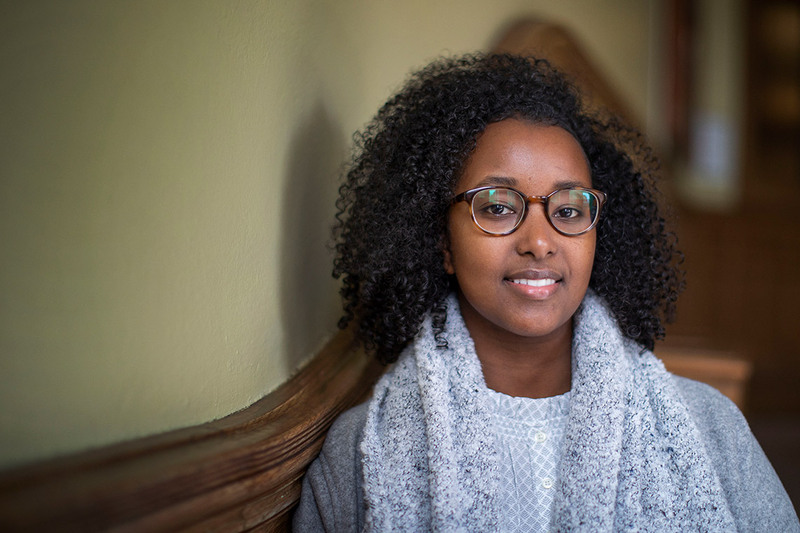 Ga’al grew up in Scarborough and Brampton, in a family with four kids, and chose U of T partly due to the sense of community fostered by the college system. Canada's largest university could be intimidating, but at U of T's Victoria University, she made friends and found supportive staff. The college endorsed Ga’al for the Rhodes. Ga’al’s eureka moment, one that influenced the direction of her studies, came while taking a seminar on migration, mobility and displacement in contemporary Africa. Her professor, Marieme Lo, the director of U of T's African studies program, became a mentor. Ga'al says Lo isn’t the only person at U of T who had a hand in her academic success. She cited staff and faculty Dickson Eyoh, Tara Goldstein, Melissa Levin, Aziza Virani and Aggrey Wasike as important influences, and also thanked Michael Burgess, her social sciences teacher at Chinguacousy Secondary School. Ga'al joins the ranks of past Rhodes Scholars from U of T, notably former Ontario Premier Bob Rae, University President Emeritus David Naylor and, more recently, Kofi Hope, who works in public policy and is a Bousfield Distinguished Visitor in Planning at U of T.
As for her U of T mentor, Lo, she's confident her former student will excel in whichever field she chooses.